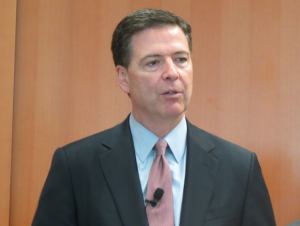 FBI Director: Terrorism Attacks in Paris Have No Links to U.S. 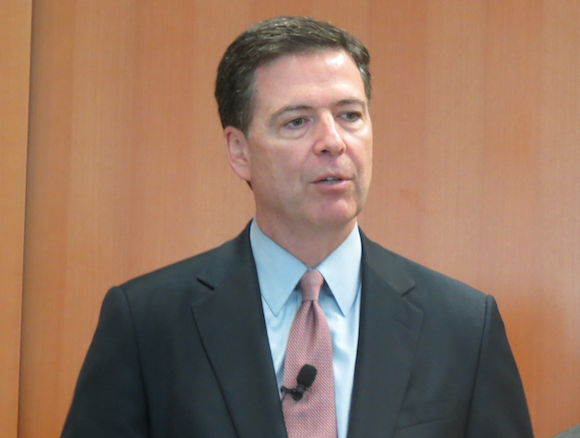 The Paris attacks that killed 129 people and wounded hundreds of others had “no connection at all” to the U.S., FBI Director James Comey said Thursday. Speaking at a briefing with Attorney General Loretta Lynch, Comey dismissed any notion that that U.S. is the target of any specific or credible attacks, the USA Today reports. Still, he emphasized, the FBI stepped up surveillance of dozens of potential suspects who could launch an attack. Lynch added that the U.S. won’t be intimidated by terrorists. “They want us to live in fear, and we refuse,” the attorney general said. Posted: 11/20/15 at 8:47 AM under News Story.